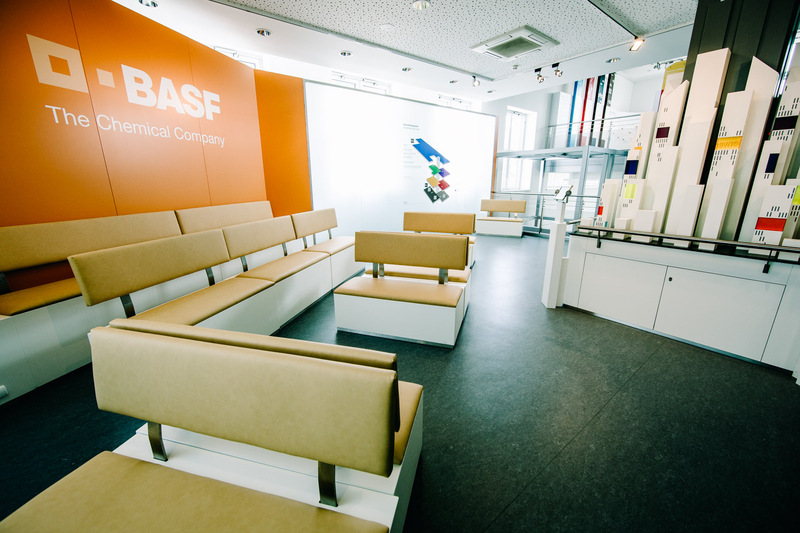 The BASF Visitor Center in Ludwigshafen is a gateway to the world of knowledge of chemistry while at the same representing the image for one of the leading global chemical companies. 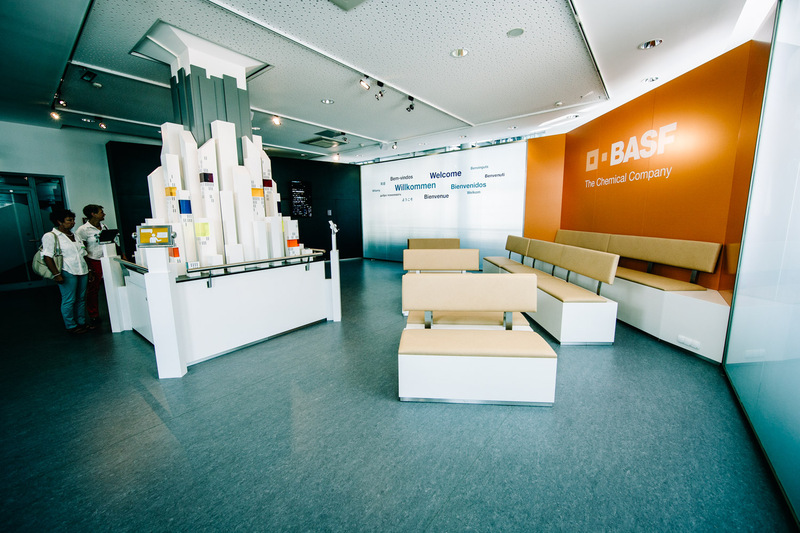 The Welcome Level is a crucial factor in preparing the visitors for the overall exhibition. 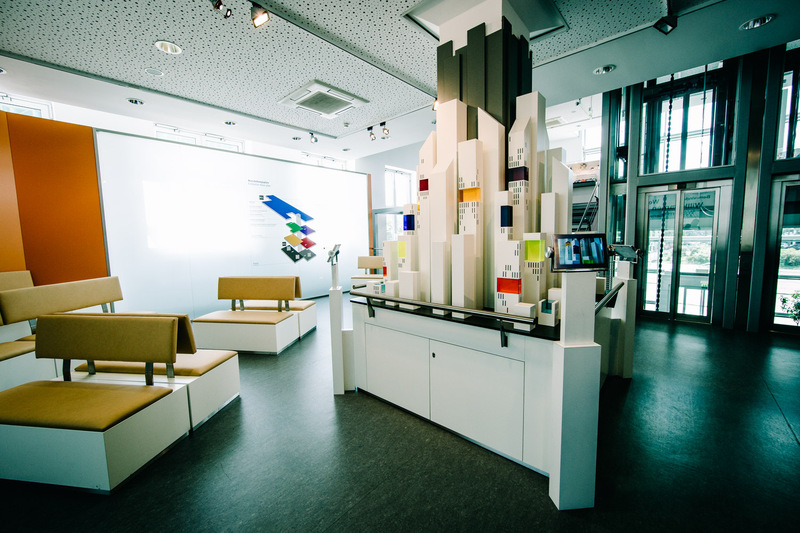 During comprehensive renovations of the Visitor Center brandscape realizes a combined spatial and media concept welcoming the visitors with a friendly atmosphere. 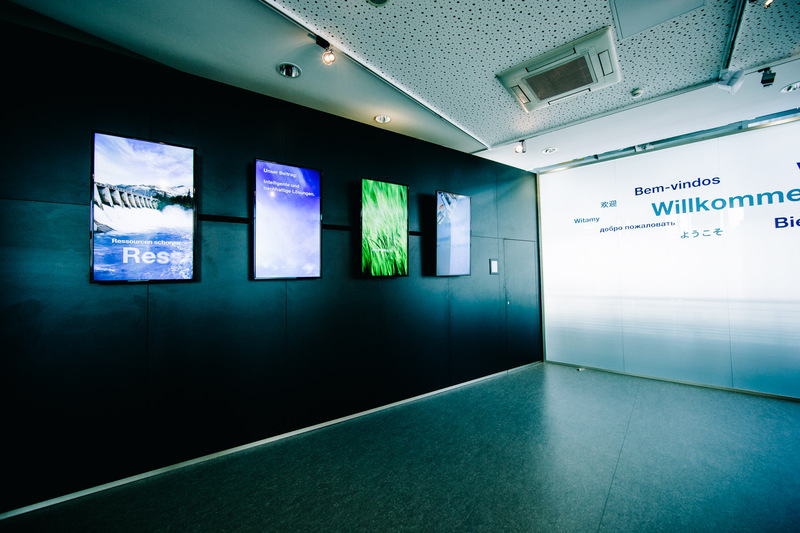 Mobile video screens support the tour guides. 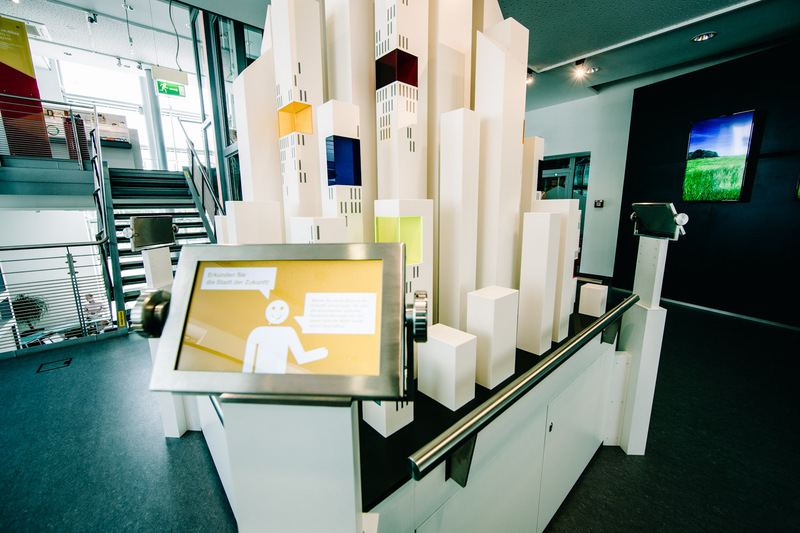 Inviting free engagement, an interactive city model leads the visitors to the future and shows how quality of life in cities can be improved in a sustainable manner.